I was commuting home in the F150, having just crossed Lake Washington on the 520 bridge. Heading east, I approached the end of the highway when my truck alerted me to a call. Thanks to Apple’s CarPlay, speaking hands-free is a breeze (this isn’t a product placement mention, but if Apple wants to send some cash my way…) I recognize the phone number and answer with optimism. 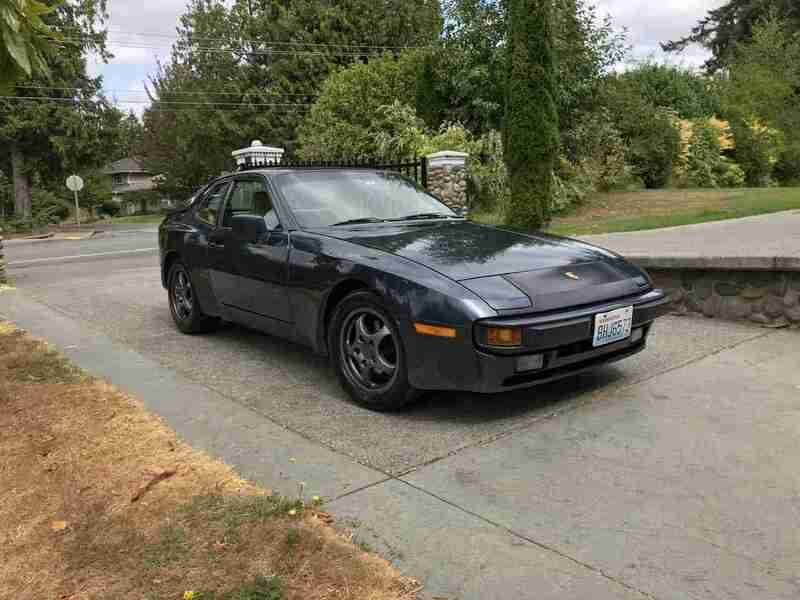 After three months, during which we sold our old house, bought our new house and moved, the 944 was ready for pick up. While three months sounds like a long time to have a car in purgatory, it worked best this way. I didn’t want to think about car related activities during this move and focused on planning for the new house. All of the land meant we needed a new mower (Husqvarna TS354XD), fencing and dogs. The last thing on my mind was worrying about bringing the 944 home. After a month in the house, we were mostly unpacked and things were settling down and I was beginning to look forward to bringing the 944 to a new home that it hadn’t yet known. The work performed by Chris’s German was born of neglect, rather than abuse, by the previous owner. It sat in his garage unused. Though it wasn’t racking up miles, parts were aging. Belts dried up, a/c seals leaked, plastic parts became brittle. Chris’s German inspected the car and concluded it needed motor mounts, a timing belt, balance shaft belt, drive belts, coolant expansion tank, water pump, and front engine seals. The 944 has a fairly large glass rear hatch which can raise the cabin temperature to uncomfortable levels, so I asked them to fix the air conditioning. They retrofitted the system with R134A and replaced the seals and drier. The non-functioning tachometer was sent to North Hollywood Speedometer in California for repair. The day of pick-up was my birthday. I had taken the day off of work, hoping the 944 might be ready. My wife had to drive to central Washington to pick up our daughter from horse camp because Ellensburg to Duvall is too far to ride a horse and our daughter didn’t take her horse any way. My wife, in a moment of genius, suggested I drop off our 2002 Porsche Boxster S when I picked up the 944. The Boxster has been losing coolant and every once in a while the low coolant light would blink. I added distilled water and the car was happy again. This is all well and good, but cooling ideally shouldn’t be a total-loss system. The car was also due for an oil change and brake fluid flush. 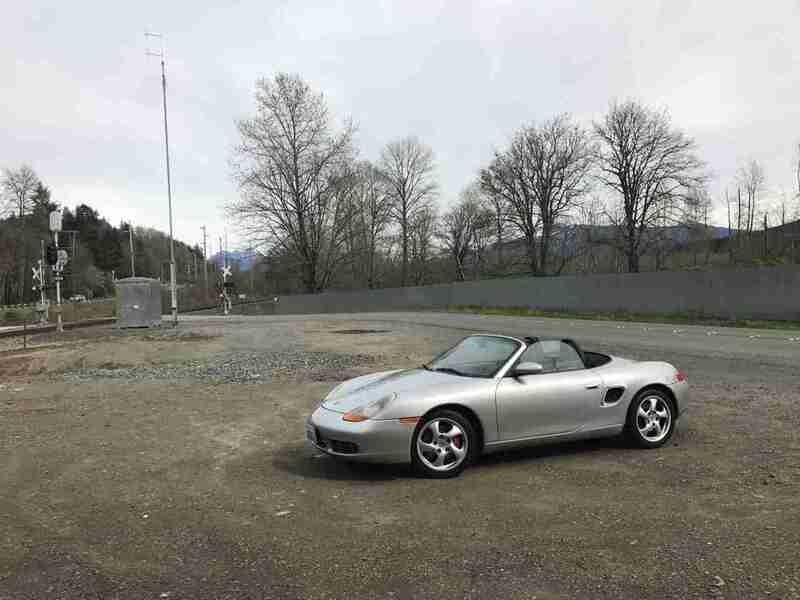 On the day of my birthday, I fired the Boxster up, put the top down and set out for Chris’s German Auto in Redmond, Washington, a 25-minute drive. The Boxster S is still looking good after 90,000 miles. Our new house is in what some might refer to as the “sticks”. I’m discovering one benefit of living in the sticks is that there are windy country roads nearby, and one of these roads is on the way to the shop that completed work on the 944. The 986 was meant for this type of road, and I’m looking forward to exercising it upon its return. My fear that the coolant leak would suddenly worsen on the way to Chris’s German was unfounded, as we made the trip without drama. Chris, the owner of the shop greeted me as I walked in the door. I had walked past the 944 which was parked out front, detailed and ready to take home. I paid my bill and Chris told me to come back in 1,000 miles to re-tension the belts and advised me that the car would be much smoother with the new motor mounts and belts. Spinning the engine to 6,000 RPM on the way home revealed this to be true. Almost as amazing was the fact that the tachometer was now conveying the speed of the engine. Will wonders never cease? The cool air coming from the dash vents was a much-appreciated luxury. The Porsche received compliments twice this day – once from a middle aged man at a gas station and once from a kid in a BMW E39 wagon. I will press the Porsche into semi-daily driving duties now that it is home. It does have other needs, but they are mostly cosmetic and by no means urgent. Now that my commute has increased to ninety minutes, I believe this vehicle will be an excellent place to spend time.